China's latest plan is to detect gravitational waves, and this article explains how they plan to achieve the goal. The new spacecraft, which is expected to be blasted into space by the end of 2019, is part of China's Tianqin program that focuses its efforts on detecting gravitational waves, otherwise known as ripples in the structure of space-time, the Asia Times reported. The satellite, constructed by researchers at China's Sun Yat-sen University, will work alongside two others to form an equilateral triangle around the Earth. "It's like a harp in space," Luo Jun, president of the university, told Xinhua News. 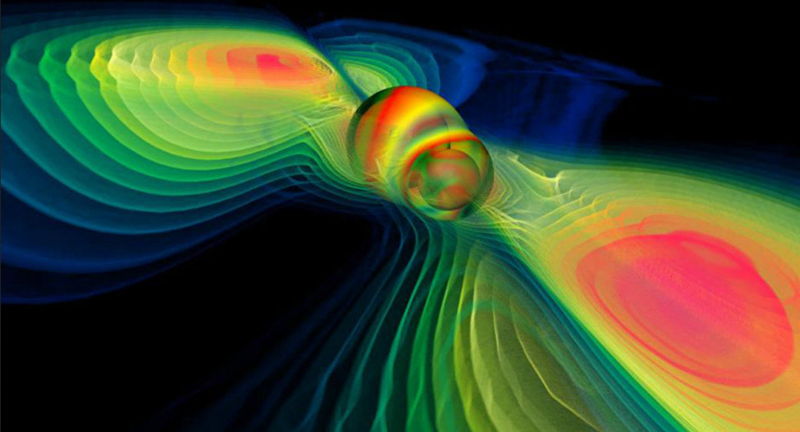 "If the gravitational waves come, the ‘harp's strings' will be plucked." According to Luo, high-precision laser interferometry technology will be used in an effort to calculate any changes in the distances between and locations of all three satellites. Though the existence of gravitational waves were first postulated by Albert Einstein in 1916, it wasn't until September 2015 that they were first detected by the American Laser Interferometer Gravitational-Wave Observatory (LIGO). Researchers made a second discovery later that year in December, before unveiling their findings in February 2016. The first detection was the result of a collision between two black holes that were "29 and 36 times larger than the Sun," according to Space.com. The LIGO team was eventually awarded the 2017 Nobel Prize in Physics for their find. Unlike LIGO, China's satellites will be focused on tracking waves at much lower frequencies that are generated by the integration of massive or supermassive black holes, Luo told Xinhua. The project, which saw its beginnings in July 2015 at the university, has an estimated cost of roughly $2.3 billion. It was previously reported in 2016 that the project would be carried out in four stages over a period of 15 to 20 years.